Prof. Krzysztof Palczewski (b. 1957 in Syców, Lower Silesia) is a biochemist. He is the director of the Department of Pharmacology at Case Western Reserve University in Cleveland, USA. Regarded as a global authority on biochemistry of eyesight. One of his most important achievements is crystallising and describing the structure of rhodopsin, and the discovery of mechanisms leading to eyesight loss by slow retinal degeneration, in particular in the macula. He started his scientific career in Wrocław. He graduated in chemistry from the University of Wrocław (1980), and was awarded his PhD by the Wrocław University of Technology (1986). His PhD diploma gained recognition by the Polish Academy of Sciences (1985) and the Ministry of Education (1986). Between 1986-1989, he worked at the University of Florida in Gainesville, and later (1990-1992) at the Oregon Health Sciences University in Portland, where he set up his own laboratory. Between 1992-2005, he conducted research at the University of Washington in Seattle, combining scientific work with various management functions at the university. Since 2005, he has been the director of the Department of Pharmacology at Case Western Reserve University in Cleveland, where he also manages a twenty-strong research team. Prof. Palczewski has published over 360 research papers in top journals including “Science”, “Nature” and “Molecular Cell”. He is also the holder of 9 patents, and has discovered two drugs which are currently undergoing clinical trials. His achievements have been recognised through numerous scientific prizes, such as the Humboldt Research Award for internationally renowned scholars. In 2011, he received the Order of Merit of the Republic of Poland, awarded to Poles resident abroad who have rendered great services to the Polish nation and whose activities have supported international cooperation connecting Poland to other states and nations. 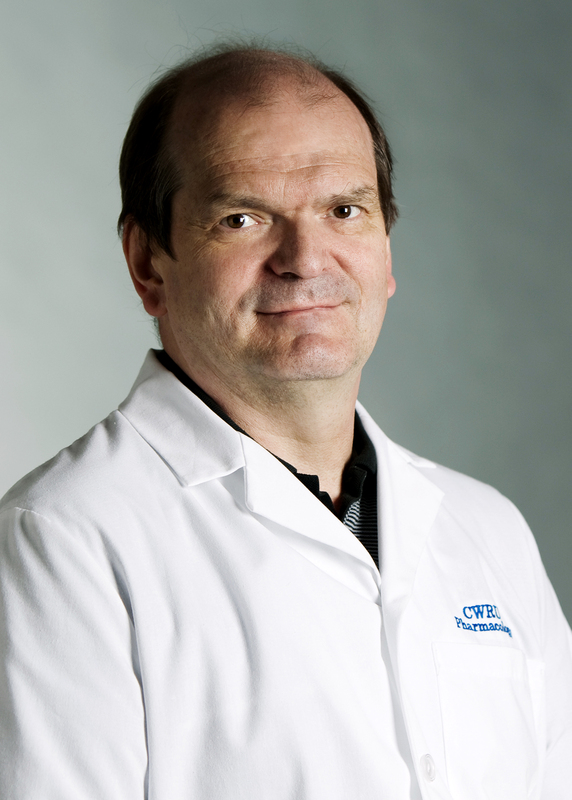 Prof. Krzysztof Palczewski received the FPS prize 2012 in the field of Life sciences for characterizing crystal structures of native and activated G protein-coupled receptor, rhodopsin, involved in eyesight. Rhodopsin is a protein found in cells of the retina. It belongs to an important family of proteins that play a role in cellular communication. The proteins are receptors that pick up signals from their surroundings and transmit them to G-proteins within the cell. In turn, they initiate a mechanism as a result of which cells are able to receive external signals and respond to them. Explaining the function of cell membrane receptors (G-protein coupled receptors) is extremely important in the context of discovering new drugs treating various disorders, in particular neurological. Most drugs act by receiving signals from pharmaceutical substances and transmitting them into the cell.Prof. Palczewski was the first researcher to describe the crystalline structure of rhodopsin, one of the G-protein-coupled receptors, a light-sensitive protein and the first step in the chain of biochemical events that enable eyesight. Describing the molecular structure of rhodopsin made it possible to explain its role in the molecular mechanism of eyesight and help our understanding of this process. The discovery resulted in accelerated research into eyesight, as well as studies into obtaining structural models of many other G-protein receptors. Two researchers using Prof. Palczewski’s discovery in their work on these receptors were awarded the Nobel Prize earlier this year. Results of Prof. Palczewski’s research also play an important role in the process of discovery of new therapies for vision problems. The discovery of the structure of rhodopsin is the first step along the way of formulating therapeutic substances which will be more precise in transmitting information into cells, and therefore should be more effective in treating eyesight disorders.